1) given his work on Indian population genetics and broad survey of literature, what is in his opinion the *most* counter-intuitive thing about India’s genetic landscape? Something that we just wouldn’t think based on India’s geography, e.g. something like the people of Kerala sharing some close ancestry with Bengalis or some weird founder events? 2) How genetically diverse is India compared to Europe (defined as part of the Eurasian landmass West of the Urals)? What is the genetic evidence that makes Out of India theory improbable ? 1 anything to say regarding health perspective, diabetes , alzheimers etc. 3 not really interested in social commentary, thats just me. I am sure you probably read this. You do have enough patience, listening the amount of time about color pigmentation. 1:30 hrs in, I am done. I really did try to listen to it all(two cups). You and zack were more to the point and also more fun. Hope the new podcast is to the point. Thanks for the info. i know a lot of history. climatic explanations are pretty retarded in my opinion. they’re conditions, not causes. 2. The internal branches of old Indian mtDNA haplogroups (M?, R? ; I don’t know for sure, sorry!) and if there is any elevated presence of mtDNA subhaplogroups with mesolithic northwestern (including Gujarat) subcontinental origins in modern day Indians today, to an extent that might suggest the numerically significant presence of women in the Indus migrations too. 3. If at all possible, some comments on the various neolithic cultures of inner India (practicing hunting-gathering, pastoralism, rudimentary agriculture, etc.) (like the Ganeshwar-Jodhpura culture, pre-Harappan Deccan Chalcolithic cultures, the Southern Neolithic Archaeological Complex, etc.) contemporary to the Indus neolithic and Indus Civilisation, the relative level of their genetic heritage in modern Indians (if any) and any estimates of their population sizes in comparison to those of the Indus region and how likely it is that these groups were overwhelmed by the Indus migrations and absorbed genetically because of the differences in population size (intuitively it appears that these inner Indian neolithic and mesolithic cultures might have had much lower population sizes than the migrating Indus populations). On (1) It is not clear why y-Chromosome haplogroup H (H-L901/M2939) is considered to be an InPE marker. Just by age alone, it is older than any InPE; wikipedia believes to have arisen in South Asia between 30,000 and 40,000 years ago, and represents the main Y-Chromosome haplogroup of the paleolithic inhabitants of Indian Subcontinent. Sengupta et al (2006) Table 6 has H1-M052 and M-197 primarily distributed in Dravidian castes and tribals; Sengupta/Cavalli-Sforza says ((M-52) at 20% alongwith H* (M-69) at 4% and H2 (APT) at 2%) Haplogroup H is the largest yDNA group in India. In contrast, in Pakistan, yDNA H1 (M-52) has a frequency of 5% alongwith <1% each for H* and H2. If it had been an InPE marker, the results would have been different. Beyond Cavalli-Sforza, various publications have ethnic groups that harbor H1 in Pakistan include Burusho-5%, Balochi-4%, Brauhi-4%, Pathan-4%, and Kalash, a disproportionately large 20% for a very small population (~3,000). A separate study suggests that Punjabis have only about 3-4% H. In Pakistan, many of the yDNA H carriers belong to the vagrant and gypsy peoples commonly known as Changar, Odh, Banjara, Bazigar, Nat and Kanjar (the latter three being of the 'street performers' category). – I have read on your blog and other fora that Jats have more “Scythian” ancestry than others in the Indian subcontinent. What precisely does that mean? Is it just a matter of having a higher incidence of R1a? – Related to the above, is there anything distinctive (genetically speaking) about Rajputs? It seems to me Raputs and Jats have historically occupied the same piece of turf, though Rajputs did eventually venture further east in the Gangetic plain. Do we have any clues about the origin of Rajputs? – Again related to the above questions, do we know anything about the genetics of the Kushans and Sakas and other miscellaneous invaders between the Maurya and Gupta eras? That particular period in history seems to me still shrouded in mystery. 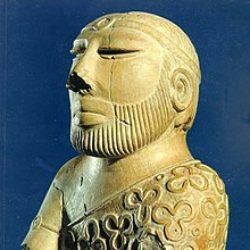 Did the Kushans, for example, leave any genetic imprint in India? There is nothing mysterious about kushANa-s and shAka-s. Both periods are well documented. Especially the latter integrated into Hinduism seamlessly. Note the use of mihIra as a Sun deity commonly invoked in Rajasthani/Gujarati ballads and the (sanskritized) title of kSatrapati used by Rajputs and Marathas (khshathrapa being an Iranic title of kings). So did the kushANa-s to some extent: the fourth great kushANa – vAsudeva – was Hindu (unlike his Buddhist ancestors). What I’m interested in really is where they really were from, how did they see themselves w.r.t. the natives of India, what their polities were like (empire, confederation ?? )… We definitely have a better idea of the Mauryas and the Guptas, and a much better idea of stuff that happened after that. But I may just be ignorant of the scholarship on this period, so if you have any pointers, I’ll be happy to read them at leisure. So do you see a continuity of lineages from Kushanas and Sakas to Rajputs and Marathas? Besides the “appropriation” of titles, do we have any evidence for this? Back in the Moorjani’s 2013 paper, they noticed MULTIPLE ANI-like population admixture in some of the UP jaatis like UP Brahmins. The estimated date for last ANI-like population admixture in UP brahmins was around ~65-70 generations ago if my memory is correct. Using a generation time of 28 years (which imo is too high) , one gets a date of ~1800-1900 years ago . Doesn’t this roughly match with the kushans reign and expansion into the upper gangetic plains ? Both Sakas and Kushans were strong patrons of Buddhism and numerous Buddhist records (esp dedicatory inscriptions) survive to confirm records of their reign. For example, http://www.kushan.org maintains a lot of current research on the topic. Regarding specific features of cultural continuity I think a few things come to mind: the pointy hats of the Maratha soldiers (and which iconic pictures of Shivaji show him wearing) is most likely a version of the Saka pointy hat tigraxauda. I skimmed over the Kushan.org pages. Of note what popped out was that the Kanishka’s dates of reign are ambiguous. Given that Asoka dates have been resolved (thru the Mahavamsa) was curious. Mahavamsa has no mention of Kanishka. Simple answer, Mahayanist. Additionally, two Fourth Buddhist Councils, one in Kashmir by Kanishka (around 127 AD) and the other in Sri Lanka (25 BC). arrived at a solution long before it arrived at a consensus. This suggests that the failure of new evidence to bring about a solution more quickly is a major challenge to South and Central Asian studies in the future. Today it varies from 78 AD to 227 AD (3rd century). 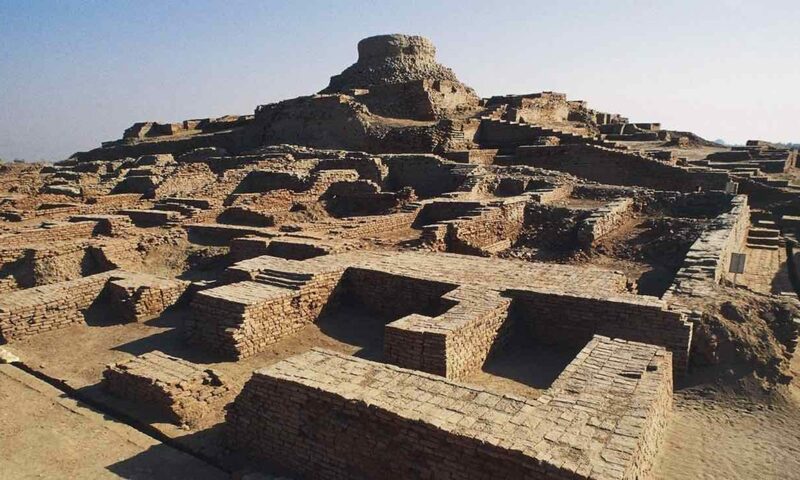 Also, in spite of the tall Indian claims, the Kushanas were primarily an offshoot of the Yuezhi and limited themselves in the southern boundary to northwest Pakistan. Greek script, Hellenistic culture, and broad acceptance of local religions, including Buddhism, Zoroastrianism, and the Greek cults. It was not until 2nd century AD, the cities of gangetic plains started paying tribute to Kushanas. One of the rulers issued coins of the Shaivist cult, but they did so for other local religions also. The Kushanas and Sakas are syncretic cultures of Bactria and Sogdiana, and have much less to do with present day India. The Indian usurpation of the history of these kingdoms is from the 19th century and surprisingly, of the British historian origin. Claims of direct descent from Saka/Kushana to Maratha are questionable. “Our results show that the Iron Age Scythians and the Yamnaya are not descended from a single stream of ancestry (Supplementary Table 23) and furthermore, cannot be modelled as mixtures of the Yamnaya and the LBK (Supplementary Table 24). We therefore considered an alternative model in which we treat them as a mix of Yamnaya and the Han (Supplementary Table 25). This model fits all of the Iron Age Scythian groups, consistent with these groups having ancestry related to East Asians not found in the other populations. Alternatively, the Iron Age Scythian groups can also be modelled as a mix of Yamnaya and the north Siberian Nganasan “. The Jats or Rajputs of India have no han or Nganasan admixture. However, often, Scythians are considered as a cultural affinity, more than a genetic one, and may be simply be considered a second wave of R1A after the steppe invaders of 2nd Millenium BC; if that is a more appropriate model, (Jats and Rajputs) may simply be modeled as enriched Steppe admixture. My questions for the podcast.. I have been following the developments in the field of genetics of Indian population, and conventional wisdom so far is that most Indian populations can be modeled as the 3-way admixture of three base populations – AASI (ancient ancestral south indians), Iran_N farmers (Neolithic farmers from Iranian plateau), and Steppe (pastoralists from eurasian steppes). That being the case, is it possible to neatly assign each individual a percentage proportion of each base population? My question which I tried to get Razib to answer for so long!!! 1) Is mtdna M49 related to the Khasi? 2) What are the origins of the Khasi; they are Austro Asiatic speaking but are shifted towards the Tibeto Burmese, so they admixed with these people later? 3) Is the origin of R2a2 with a Iran_ N farmer of the Indus. I know you hate ydna R2a for some reason (envy I guess since your my evil twin R1a bro🙄), but please elaborate on this haplogroup. I AM A FELLOW BENGALI, I want to know more about myself. Especially my maternal lineage. This seems to say M49 is not quite Khasi; however, Spencer Wells has a wealth of information on Khasi and Munda (read his book “the journey of man”, and may be a much more recent source of information for Razib. Thanks for the reply Vijay. Its just that all the papers I’ve read attribute M49 to Khasi; Bhoi are a sub group of Khasi in Meghalaya. I come from eastern Syhlet so we are in close proximity to the Khasi and Garo so geographically it would make sense. But, I think it’s one of those rare haplogroups. Thanks for the reply!!! How have the Sinhalese arisen? Are they descended from ancient Bengalis, explaining their minor east asian ancestry? where did you get the bit about minor east asian ancestry? sbarrkum has some data in “Sinhalese and Tamil DNA Admixture Analyis” but this may be old. he says SE Asian ancestry in Sinhalese (1.6%)as compared with Tamil (1.3%), whereas Bengalis have easily 3-4 times this number. It is not easy to postulate a Bengali origin for Sinhalese based on all this, especially after looking at yDNA. Curious as to what basis that was calculated. The 1500 years (500 AD) is a odd time point re Bengal (Kalinga) according to in history in the Mahavamsa. The other is the founding myth around 500 BC. Would this idea that Sinhala-Tamil interactions, and travel/contact between Sinhala and Indian Buddhists (like Indian Buddhist travel to Thailand and Cambodia) was the primary driver of Sinhala Buddhist conversion, hurt the feelings? May be the founding myth is just that, a myth? Tamil elite were often Jain and then Buddhists almost up to 6th century. So diffusion of Tamil elite ideas into Srilanka was a cause, followed by continuous demic flow of some people but mostly ideas from a variety of Buddhist leading dynasties between 2nd century AD to 19th century AD was the prime cause of Buddhism in the isalnd. 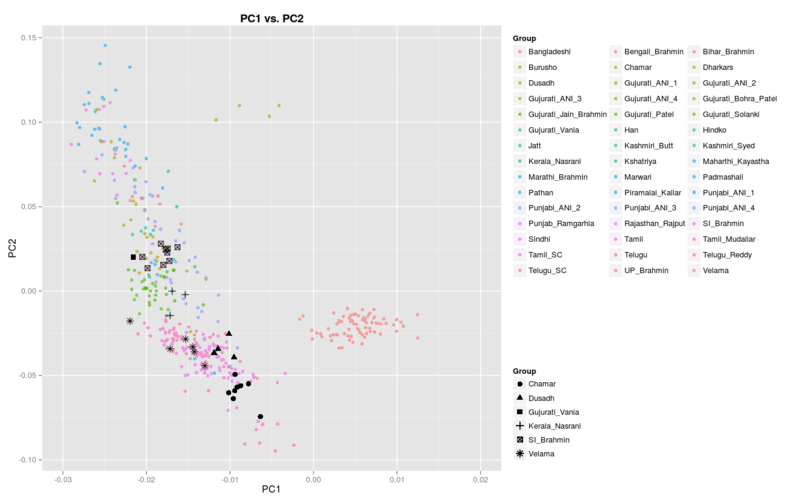 Zack Ajmal had some admixture data that suggested similarity between Lankan Sinhalese and some people in orissa, but not Bengal. Unfortunately his website has disapperaed. Buddhism became established (i.e the ruler embraced the philosophy) somewhere around 3rd century. Mahinda Thera and Sangamitta, the son and daughter of Asoka converted King Devanampiya Tissa. I think first Sinhalese is a inclusive culture as against a “race”. Speaking Sinhala seems the primary requirement and identifying as such. Being kind of Buddhist also helps, Name also helps, though plenty of exceptions. de Lanerolle are direct descendants of a French Nobleman and are “Sinhalese”. Fernando’s, de Silvas and Mendis are questionable. Descendants of Portugese or those who took on the names. Quite a few are changing the surnames in the present day. My contemporaries who had Portugese surnames, the children have Sinhala surnames (eg Gajanayaka and Jayatilleke). No question about South Indians becoming Sinhalese even in the recent past. Many immigrant groups, mercenaries, work the cinnamon plantations were brought in by the Colonialists are die hard Sinhalese now. The African soldiers (and families) have all got absorbed other than one village near where I live. They too are in the process being absorbed. Two of the political dynasties, Jayawardene and Bandaranayake are direct descendants of South Indians who arrived in Dutch times (late 1700’s). The Jayawardene ancestor Tombi Mudali was a traitor who as a guide led the English to capture thelast King. In Jaffna too the Dutch imported many South Indians to work the Tobacco farms. * I say South Indians because immigration was from anywhere in South India, Kerala and Tamil Nadu being the majority. What are the common Y-haplogroup among Bengalis and Sinhalese? Both groups have lots of R1a,H1,R2 as far as i know. I am afraid there is not a lot of commonality between Bengalis and Sri Lankans, as far as I know re: y-DNA. 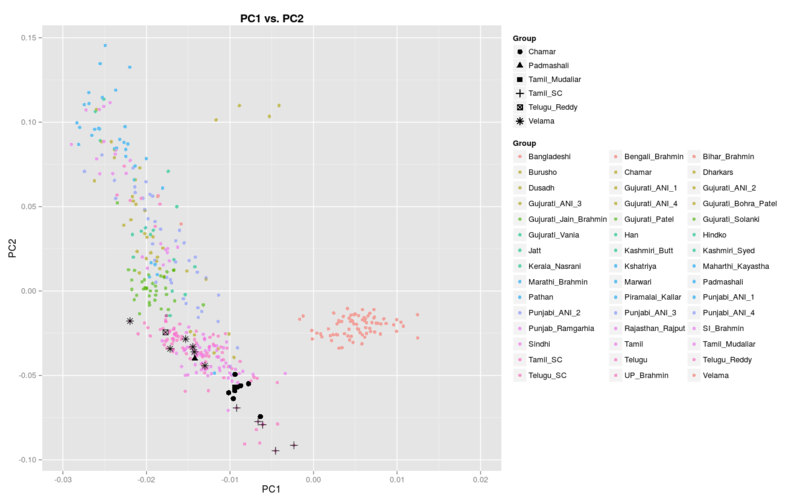 For comparison, I added Sharma 2009 yDNA for West Bengali Brahmins. Be aware that the Kivsild 2003 is rather ancient compared with poznik. I see some isues with Kivsild, but the conclusion that Sinhalese are no Bengalis. Dont know about Bengali Origins for Sinhalese, admixture yes. The Bengali origins come from the Vijaya myth (approx 500 bc) in the Mahavamsa. Vijaya is stated to be part Bengali (Vanga) and Kalinga (and Lion?). Vijaya is considered the progenitor of the Sinhalese. Cant be as he did not have children from the Madura wifes (two children from the Yaksha, Kuveni). After Vijayas death his brother was invited from Kalinga to become King. Of the few samples in “Sinhalese and Tamil DNA Admixture Analyis”, other than a Bengali I have the highest SE Asian 2.4%. Also have Ear Wax: rs17822931 TT: Dry Ear wax (body sweat that does not smell) . I am sure my sister does not have the derived TT, her sweat smells without deodorant. The randomness of genes.!! Oh, your question is more complicated, and dovetails with one of my interest, and I apologize for not following. There are two well-known Austro-asiatic peoples in Eastern India, the Munda and Khasi. The austro-asiatic incursion in Bengal has been attributed by Narasimhan and identified by Razib via admixture analysis as those of Munda (this is in addition to a larger, more recent, Tibeto-Burman of 1500 BP incursion). Why can this not be termed a Khasi-incursion? This is also supported by various M lineages common to Khasi and Bengal. Neither the Mundas in WB (~350 K) nor Khasi in Bangladesh (85 K) can be absolutely be selected as the one and nonly AA component in Bengali. Can you also address as to why both the left and right is incessantly obsessed with this topic according to you 3 ? It would be interesting to understand the scientist view on the political aspect of this. Also Omar and Zack can address what is the Pakistani view on all this. That would be fun. The right invested into this in last 2 decades spearheaded by some cookoo talking heads. The left in order to get back on the muslim intrusion with counter claim. I don’t think Pakistanis really care. Not our issue who the ancient Indians were. History for us begins with Muhammad bin Qasim (not endorsing this but it’s reality). some paks care when it turns out they are south asian since they have arabo-turkic-persian delusions. Of course we are South Asian. Most of us are descended from Hindus who converted. But our national narrative is not altered by ancient genetics so there is much less interest in all this. As far as most of us are concerned, the Islamic Republic began when MBQ entered Sindh. This is what is taught in schools (though it’s a very stupid proposition). my personal experience is that yeah, paks don’t care that much compared to indians. This is so sad for those who do not know history of genes. The Pakistanis were the only one who contributed DNA for all the big projects of 1990s and 2000s (may be because they did not care). The Indian government in its usual suckitude refused to provide DNA for all the projects for a long, long time. We were stuck with Houston Gujarati and Srilankan Tamils as stand-ins for India for a long time. This changed in about 2008, and now we have a flood of Indian DNA albeit upper caste heavy. Now hearing that Pakistanis are uninterested makes me sad, as the Kalash, Burusho and a lot of Balochisthan and near IVC DNA has given us so much. Pakistan is a unique place, with so much genes of ancient past, unlike, say Bangladesh. If the Indian government has been more responsive, we could have been further along in resolving the history of ancient India. The point is that genetics makes no difference to the national narrative. Religion is what is important. Pakistanis are not debating Out of India or Aryan Invasion Theory etc. Indians seem very passionate about these things. I know one, zackary Ajmal. Can he come on your podcast? zack is probably too busy. but i can ask. he’s a cool guy. known him since 2002 or something!!! Can we see any genetic footprint in the modern day of the South Indian Neolithic? When do you think Y haplogroup L came to India? Based on your knowledge of the genetics and implied population movements, do you think it more likely that Dravidian is a Neolithic West Eurasian import, or more deeply indigenous to India? “Dravidian” is a language family; AASI and InPE are people. A people can choose a Dravidan, Indo-Aryan or a AA language. The question is then, where and when did L1A1 and L1A2 come from, and when, into India. The oldest divergence within Y Haplogroup L. L1,( =SNP M22), diverged from L2, (=SNP L595). L2 was only recently discovered and its nomenclature is still causing problems. I am still using 2017 Nomenclature. L2 or L-L595 is very rare, but has so far cropped up sporadically across Europe, including in Sardinia, England, and the Baltic area. However, most of Y Haplogroup L is L1. Then, consider the L1 (L-M22) split into L1a and L1b, that occurred around 18,400 years ago, possibly somewhere between what is now Iran and Pakistan. The L1a branch inherits the SNP M2481, and the L1b branches inherited M317. Pakistan and India are the present day home of L1a1 and L1a2. L1a split into two sub clades. The split occurred around 17,400 years ago. L1a1 (L-M27) and L1a2 (L-M357). Lia1 is defined by SNP M27 is mainly found in India, particularly South West India, and in Sri Lanka. This is perhaps the most populous modern day L sub clade, found in 15% of Indian males. However, it is not restricted to India, and has also been found in 20% of Balochi in Pakistan, and also been reported in Kirghiz, Pashtun, Tajik, Uzbek, and Turkmen males across Central Asia. L1a and L1a1 (L-M27) were found at Birds Eye Cave, Armenia 6161 years BP. L1a and L1a1 (L-M27) at Birds Eye Cave, Armenia 6161 years before present. This might suggest, that although very successful today in India and Pakistan, that it has a Western Asian origin. L1a2 (L-M357) clade is mainly found in Pakistan, but also Saudi Arabia, Kuwait, The Chechen Republic, Tajikistan, India, and Afghanistan. It has been found at 15% in Burusho populations, and at 25% in Kalash populations. It is much more common in Pakistan than in India. To summarize, between 17,400 -18,400 BP from Iran, although L1 per se originated in the Caucasus. Which people brought it to India is unknown, because the last intrusion that we have clear understanding about is the Iranian Farmer who appear to have arrived at Mehrgarh by 9,000 BC, and this haplogroup is much older than that. Thus, it appears that some of the AASI y-dna is also intrusive to India between 10K and 20 K BP. It is unclear that the word Dravidian describes them, as they are neither farmers, nor does any evidence that proto-Dravidic language existed. Why could L not have entered India with Iranian Farmers? Why does it matter if L1 splits occurred long before 9000BC? Given the wide spread of L1a subclades outside of India, and the lack of big far-reaching migrations out of India that far to the west, it seems clear that the L1a splits happened west of the Hindu Kush, and I don’t see why Neolithic migrants couldn’t have carried both L1a subclades with them on the way to India. What haplogroups show up in the little ADNA we have from the post-Neolithic eastern Iranian plateau? No L? I can think of a few plausible scenarios for how that ends up. Suppose there are two founding populations, one L1a1 and one L1a2, that settle different parts of the Indus Valley. At some point, L1a1 populations spread out across the rest of India, while L1a2 stays behind along the Indus. L1a2 lineages later dominate the rest of the Indus and gradually replace the remaining L1a1 lineages. We’d also see some West Eurasian ancestry in the AASI component if L was brought from the west before the Neolithic. We don’t, do we? agriculturalist-related admixture, suggesting that they might be migrants from a population further east along the cline of decreasing Anatolian agriculturalist ancestry”. While Narasimhan says that they may have been counter-migrants from IVC, there is no real evidence of that, either., especially in BMAC. Figures 12 and 13 of “https://www.eurasiandna.com/2017/11/08/the-paradoxical-onge/” indicate higher admixture of ASI in a number of west Asian populations, including Iranian, Kurd, Baloch, etc. The considerable variation of ASI in these samples indicates some AASI, especially since even 99% inpe does not tease out all of ASI. What needs to be done is to go back to these samples and run 3-population tests, and I suspect that AASI is not as clean as ASI, and it may not be a clean Indian product, i.e., all of Iranisna, Balochis, and others will have some AASI left in addition to InPE. I want to go back and do these tests, but my Unix box with all tools is broken. – Pre-Aryan Y-haplogroup H1,R2 and L. Genetic history of Indian tribals,Dravidians, eastern Indian(Oriya,Bengali,Assamese),Srilankan and Maldivians. Regarding L, read my earlier response. It is intrusive to India from Caucasus via Iran about 17000 years BP, and is a marker for caste groups, and less present in tribes. Together with J (J-M172), R2 (R-M124), the three form the caste markers; but, unlike L, J2-M172 and R2-M124 are predominantly found in India, and from Indian clades. They are all markers for caste Groups. In contrast, the two dominant tribal markers are H-M52 and F-M89; of the two H-M52 has been around in India for close to 40 K years; F-M89 is a “catch-all” clade and yet to be broken down in detail. O-M95 is the Munda or later TB intrusion, as it is no older than 4500 years BP. Thanks Vijay. So haplogroup-wise Sinhalese are more like Tamil than Bengali, make sense. Sinhalese are supposed to have Bengali admixture, around 72% though. H-M52 is not restricted to any caste or tribe AFAIF, ~28.8% of Indo-Aryan castes. Y-haplo H seems common in east Bengal, L is less common. Who brought Iranian farmer ancestry there, mostly agriculturalists with ydna H and J? Ive heared Bangladeshis can be modeled as Shar-e-Sokhta 3 type + Swat valley(Iron age) + eastern Asian(NE Asian+SE Asian). Isn’t H-M52 common among Dravidian castes too? especially In Andhra among middle castes. Someone told me that y-haplo G,H,& J originated in west Asia, J moved to levant/Arabiya, G in Caucasus and H in south Asia. H probably replaced early haplogroups like C and D. So the tribal south Asians have high quantity of H, even north Pakistani tribals. R2 probably came after H and L? Anyway South Asia probably has the most complex genetical history. H-M52 is all over India. However, I am not able to answer any of your other questions, and Razib is the best to answer. “and less present in tribes” — Depends upon where the ‘tribes’ are living. Y-DNA L has a decent frequency in some tribes living in the western ghats region. ” but, unlike L, J2-M172 and R2-M124 are predominantly found in India, and from Indian clades. ” — Thought J2-M172 dudes came from west asia. Though some ‘tribes’ of south india and eastern india show decent frequency of J2-M172 (https://www.nature.com/articles/srep19157) . Yes, all true. Complete answers to all Y-DNA questions will be difficult to obtain owing to the plurality of tribes, castes and states, and shortage of DNA samples. A big data approach to DNA sampling and classification, and cataloguing of castes and tribes is a solution. Cordaux figure 1 (Independent Origins of Indian Caste and Tribal Paternal Lineages, Current Biology, Volume 14, Issue 3, 3 February 2004, Pages 231-235) expresses the (Way) pre-Aryan L, R2, H, J in one figure. what is missing is a year BP, and origin. Question to Razib, Do the Todas(dravidian speaking, buffalo pastoralist tribe of the Nilgiris) have any Steppe_MLBA related ancestry ? yes. more than the usual i think. also, most dravidian groups in the south seem to have some indo-aryan/steppe, though less as you go down to dalits. terms of Steppe_MLBA, InPE and AASI for the Todas? Another question to Razib, some communities in the east and south-eastern states like Andhra (caste and tribe both) seem to have high frequencies of Y-HG T. Do you think it might be the result of islamic incursion from middle east ? Any guess here ? Why do Dalits (Scheduled Castes, Tribes) across India seem to be more ASI shifted irrespective of their geographical location ? Is there any Iranian cline amongst ASI shifted groups ? “Why do Dalits (Scheduled Castes, Tribes) across India seem to be more ASI shifted irrespective of their geographical location ?” — I know am not qualified enough to answer and this is a question for the podcast but i don’t think dalit is a term used for Scheduled Tribes(Burusho, Todas, Mizo,Mundari speaking tribes etc ). It’s a term used for Scheduled castes only. As for ASI shift irrespective of geographical location, i remember Meghwals in Rajasthan ( a scheduled caste) had ~54 % ANI in Moorjani’s paper so there might be exceptions. Thanks for clarifying that Scheduled Tribes don’t come under Dalit terminology (which literally means broken, scattered people). I don’t understand the use of your term “moolnivasis” to explain their ASI shift irrespective of present geographies. I will wait for the podcast for more answers. td, would it be accurate to say that a majority but not all Scheduled castes are not really Dalits (Untouchables or Harijans) but could as easily be designated as something else? In India many Jatis are fighting to be called SCs that have doubtful claim to being SCs. Saravana, why would Avarna (or those who choose to opt out of Varna) be considered broken and scattered people? Historically wasn’t anyone who wants to opt out of the Varna system considered Avarna (also sometimes called untouchable)? “td, would it be accurate to say that a majority but not all Scheduled castes are not really Dalits (Untouchables or Harijans) but could as easily be designated as something else?” — Some were definitely not ‘untouchables’ . In fact , some of them like Paswans(Dusadhs) in Bihar/UP used to be guardsmen/watchmen (clearly not an ‘impure’ job) if you believe their words. Some like Devendra Kulla Vellalars(Pallars) in TN were agriculturalists ( they are now protesting to be moved out of SC category i think ). Another interesting thing to note is that a lot of SC jaatis were at one classified under Criminal Tribes Act which made things even worse. I will tell u more over mail 🙂 . //Saravana, why would Avarna (or those who choose to opt out of Varna) be considered broken and scattered people? Historically wasn’t anyone who wants to opt out of the Varna system considered Avarna (also sometimes called untouchable)? Jyotirao Phule popularized the term “Dalit” to reveal their plight under untouchability and social exclusion. “Harijan” (children of God) is considered to be a condescending, patronizing term by Dalit Rights Activists and movements whose construction of social consciousness arises out of oppressive exclusion rather than accumulative social capital of those who had the privilege of coining the name – Harijan for them. Moreover, Avarna (opting out of varna system) masks oppression that these groups have endured for long; it even raises the doubt whether these groups facing discrimination had willingly opted out of the caste hierarchy. I don’t consider it to be meaningful of the status quo and will rather acknowledge the labels chosen by those groups willingly. Saravana why would anyone want to call themselves broken and scattered, when in truth they are beautiful, wise, powerful, loving and sweet beyond measure and description? The mind is a powerful thing. Do we not in part become what we think we are? In many cases the ancestors did opt out. However later the system became ossified and it became harder for descendants to opt back in. If someone wants a sacred thread and be initiated into a Varna and daily spiritual practice . . . isn’t this option generally available to most people who call themselves “Dalits”? Isn’t it a choice to not join a Varna today? Most self described Dalits choose not to join a Varna and they have every right to that choice. Is part of the reason fear that they might lose reservation affirmative action? My own observation is that caste doesn’t really function in the business world, urban areas and among the middle class. People could care less if an IIT graduate is a “Dalit” or not. For this reason isn’t “class” rather than “caste” a far larger challenge? How severe were the bottlenecks for each sizable ethnic group and caste in South Asia, and how long were these groups isolated from each other? Basically I’m begging you to give your interpretation of fst data for da brownz. Of course it’d be crazy of me to expect you to answer this in detail on your podcast, lol! But it’d be cool to touch upon this once you’re finished covering the major migrations and admixture events. You guys should collaborate on a book, to be honest. 🙂 Call it “Encyclopedia: Brown”. Any way to bring Jaydeepsinh rathod to the podcast 🙂 ? I assume he would have some interesting questions or insights to add. this is a good idea. though i think he lives in brownland? so timing would be an issue. This is one interview you need to conduct since you are the subject matter expert. Razib, Maybe a naive newbie question: I am interested (as an interested layman) in understanding something about R1a1 expansion in India: is there a way (with genetic data) of distinguishing a large male-dominated invasion which mostly denies the local males chance to propagate their Y haplogroups, vs a small incursion followed by a slow increase in R1a1 via sexual preference (say.. or some other processes) over a large number of generations? Since remnant of IVC must still have been a pretty large population, spread out geographically, rather than concentrated in a couple of cities, I find it hard to believe in quick replacement.